Jesus replied, “Moses permitted divorce only as a concession to your hard hearts, but it was not what God had originally intended. Sigh, this is a tough blog to write because I know everyone has a different view point on marriage and why people stay together. I have been wrestling with this for awhile now, yet I know in my heart exactly where I stand. I know where God stands. I just do not know where my husband stands at the moment. I have gone through so many changes in three years that sometimes I even amaze myself with the changes and the reactions I have to things which once bothered me greatly. Yet it seems as if my husband has done no changing and to the outside world the situation looks hopeless as can be. Not for me, in prayer, God promised me the restoration of my family and God has yet to fail me. Anyways the point I am trying to make is that the man I met in the early days when we would talk for hours while sitting in a 24 hour restaurant after work, is the man I am waiting for. I fell in love with the man I got to know while he was sober and when I found out the bad things about him, I just figured I could change him. Of course, I now know that only God can change people, I can’t and this is what I am waiting for. God has this already planned out, He knows the next move and He surely is prepared for whatever my husband does. I am faithfully waiting for my husband to find God again in his life. I am standing here still waiting after three years because I have hope in God, not my husband. The Bible states marriage cannot be broken unless someone cheats and I know people keep saying the fact about grace and God would not persecute me for choosing to divorce my husband but in all reality, I don’t have the desire to do so. My husband knows where I stand and that God is first and foremost in my life and until he is on the same page, we would drive each other crazy. I am content to remain married even when others just do not see the sense in it. I am standing beside God and He is changing me and molding me into the destiny He has already planned out for me. I truly believe even though I made some strange choices, God is turning all of this to good. 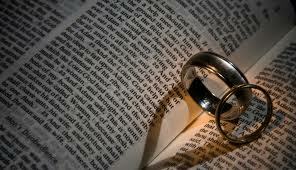 Lastly, I can only imagine the grand testimony that will come when my husband decides to follow after true love, Jesus. As for now, I will just press into God. I will strive to learn the things I need to and continue to allow God to be my provider and even my Husband. I am content and I am focused. There is not a day that goes by that I do not think upon my husband. I miss him terribly and I am waiting with such expectancy from God. He is my husband, the father of my children and the man I vowed before God to love and cherish until death do us part. So much of me is still in love with the man who sat across from me at a restaurant table pouring out his heart and soul and dreams to me. I made a vow and God made me a promise. My husband is alive an well not far from where I live, My daughter has contact from time to time. I realize the health issues he may have but it’s not anything God cannot heal and certainly this falls into the vows as well, in sickness and in health. i just know that God is not promoting me thus far just to have my husband hold me back. God has this perfect plan for our lives and even when we make the wrong choices, He can get us back on track and as good as new! Be blessed!